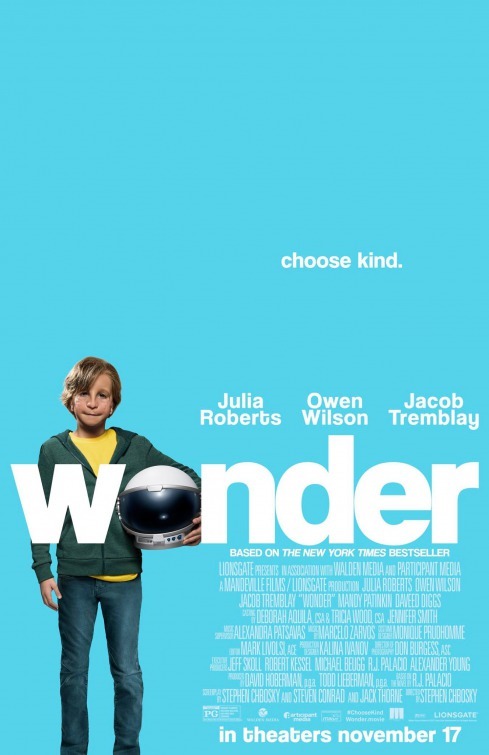 My family and I recently watched the movie "Wonder" and were blown away by this great family friendly movie with a message for everyone: choose kind. My kids (11 and 14) had never read the book (despite my offering) and so they went into watching the movie with very little information. In fact, my husband and I were pre-screening it to see if it would be okay for them to watch, when they spontaneously came into the family room and joined us moments after it started. I read the book "Wonder" a couple of years ago and so I was interested to see what the movie would be like. This movie has excellent acting by a great cast. I love the imaginative spin they had throughout the movie (reminiscent of "Ramona and Beezus"). Like the book, the movie focuses on the point of view of various characters and tells a story beyond what you might think at 'face value'. 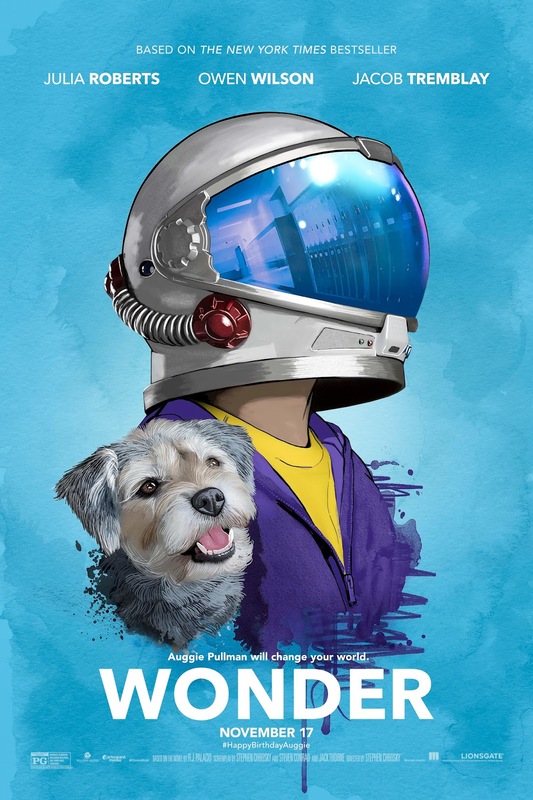 If you're looking for a great movie for your family to watch together, consider this one. If you're wondering if it's right for your kids -- check out the Wonder review on Kids in Mind for specifics (and some mild spoilers). I agree, this is a fantastic movie. My kids were resistant to reading the book too, so I got the audiobook -- we listened to it on the way to school for a couple of weeks. They ended up loving it! I went to see this movie when it was in the theater. I think every child should see it to see how devastating it is to be bullied. Also to see how extending a hand of friendship has such an effect on people. What a wonderful movie it was.